It would be easy to keep adding to this list of Rollins’ professions (voiceover work, acting…), but we’ll let the man speak for himself. The punk legend checked in from somewhere in Australia, where he’s doing spoken word sets as part of that country’s “Big Day Out” festival. 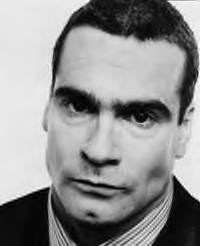 In a recent Washington Post interview, you said you’re working toward getting the Rollins Band going again. Would you be building a new band from scratch, or is Mother Superior still an option? Nothing has been planned but I am interested in doing something musically. Not sure of the players as yet. Since talking shows and other endeavors have primarily occupied you for the last couple of years, are you burning to get back onstage with a band? Is that aspect of your artistic expression still something you need to do, or is it more a “want to” do at this point? I like the idea of playing music still but have been checking out other things lately. I still want to do some music at some point. I don't know what the environment would be like for a band and me at this point. In your eyes, who and what are some of the lasting monuments of punk rock? The Ramones, The Clash. They really made an impact on things. The what would perhaps be the perception of rock music now. Punk rock has made an indelible impression on that front. I have no idea where rock would be now without punk rock's intrusion. To borrow a line from Roomanitarian, “Nothing can be recaptured. It can only be approximated and stood next to.” Though this thought diverges from the book’s context,it made me think of all the bands that reunite to tour – without naming names, there seems to be a bigger glut than ever, much of it ’80s and ’90s “alt-rock” bands. As a performer, what do you think this phenomenon boils down to? It’s too reductive to say it’s just about the money. Is there a need, an insecurity/“please love me again” element at play here? I think it could be all kinds of reasons and combinations of reasons. I know I miss doing songs I used to do a long time ago with Black Flag. Those were really cool and I still love them. I think some bands may not feel done with it all yet and want to get out there again after a long absence, thinking they are really better than ever. I think ultimately it's a little sad, but then again I saw the Stooges play the other night and it was one of the best shows I have ever seen in my life. It was frightening. You’ve described Roomanitarian as “an angry book,” but can you elaborate on your inspirations? There are clearly targets in these pages that you wanted to take out. You’re certainly taking Bush and conservative pundits to task, and, not only that, suggesting some imagery-rich comeuppance across the board. Bush and all those pussies make for a target rich environment. A lot of the book comes from the emptiness I often feel. I don't know about what was inspiration for writing of that kind in that I don't really feel inspired when I write like that. Cursed is more the word. It is an elaboration on the wretchedness that runs me all over. What are the lingering thoughts you’ve taken away from your time spent with soldiers overseas and at Walter Reed Army Medical Center? That there are really no bigger truths to be known from any of it. The people at the top are almost as clueless as anyone else. People lose limbs really easily and they have the rest of their lives to wonder what it was all about anyway. The closer you get up on it, the smaller and sadder the whole thing becomes. Everyone's just running around being insane, the troops, the insurgents, it's all completely nuts. There is so much pain for the families and friends. It's too much sadness to make people go through in a life. In terms of your talking dates, what countries and/or cities do you find it hardest to connect with the audience? None really, believe it or not, it's been great all over. Russia was a little difficult with the language. Israel was amazing, places like Hungary were really great as well. Sometimes in the south of the U.S., there's some disconnect with the audience and myself perhaps but I could be wrong about that. The new season of your IFC show is going to be weekly, with musical guests. Can you share a little bit of what viewers can expect in the first few episodes? Honestly, we have just started working on the season. There will be interviews with guests to be determined, I will be going off on topics that are interesting to me, we will have music as you know. There will be some special segments, letters and other stuff we'll throw in as the year goes on. As far as the first band on and the first guests, I really don't know. We have taped Sleater-Kinney who were great, Ringside, John Doe, Frank Black, Ben Folds. Should be really cool. You’re nonstop. But age bears down, and you must foresee some level of slowdown and/or priority shifts in say, the next 10, 15 years. What does Henry Rollins’ semi-retirement look like? At some point, I would like to be extremely solitary and not have to talk to many people or get much mail. It becomes harder and harder to be around and amongst people for me. There will come a point to where I will be unable to do it. I am not one who hates people. Not remotely. They are, in many instances, painful to be around.